addition, for systems in which linearization software is employed in the readout device, the installation calibration can be performed more conveniently in software rather than making an adjustment on the IRt/c. 1. Thermocouple input to programmable readout device (or 4-20 mA if transmitter is employed). 2. 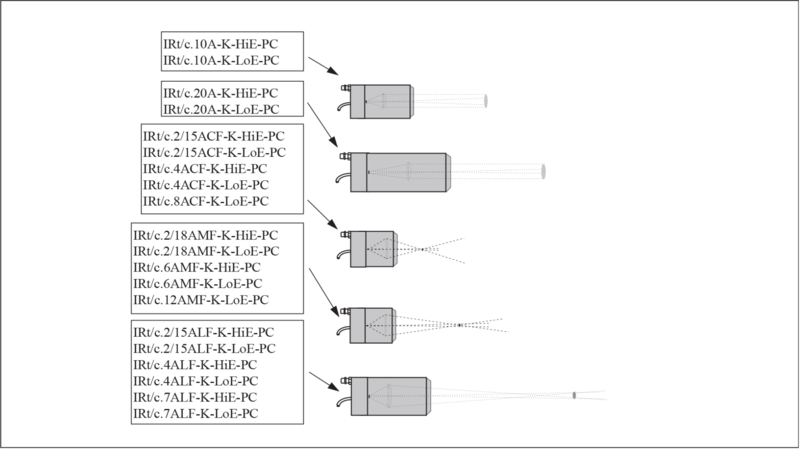 Signal output lookup table for either HiE - PC or LoE - PC IRt/c models. The following models are available with the PC calibration designation, with the same signal output at all temperatures. The maximum recommended target temperature for all models is 2000°F (1100°C). The minimum recommended target temperature depends on the precision of the thermocouple input amplification system, but a reasonable lower limit is 700°F (370°C) for the HiE and 1000°F (540°C) for the LoE. For other specifications, refer to the Model Selection Chart or the individual model specification sheet.